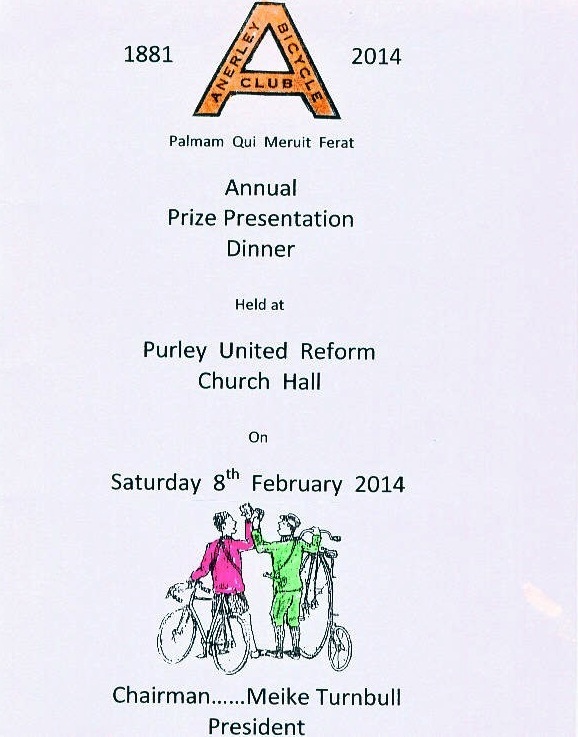 I always love the art work that Bryn produces for each year’s Club Annual Dinner. It needs to be saved as part of our club history. So here is this years menu card. And thanks Bryn! And the inside is even better! A bit of Club history. The fine drawing above, commemorates the 29th and very last Old Boys Run. 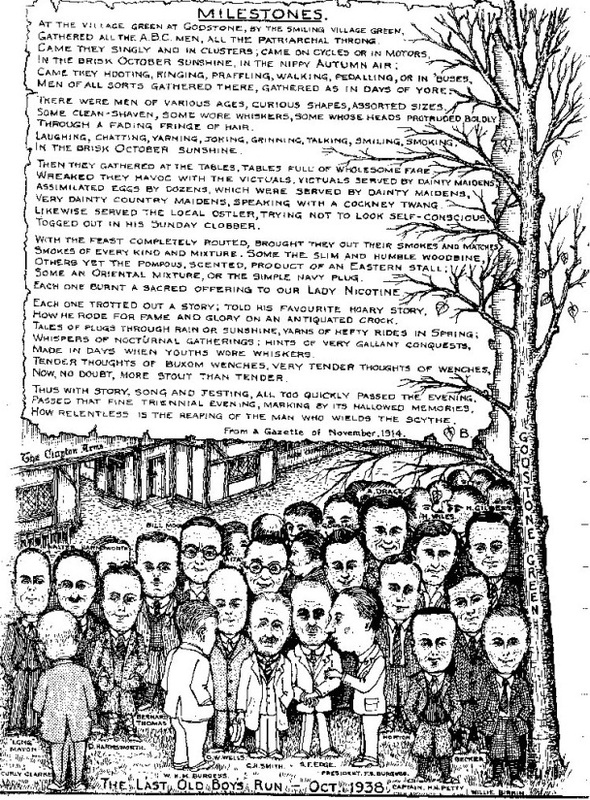 It took place, as shown, at the Clayton Arms in October 1938. By October of 1939 we were again at war with Germany. Unfortunately I cannot tell you who the poetic pen man was, only that he was an Anerley man who signed his work just with the initial “B”. The drawing I do know was sketched by W.R.H. Moon, better known as Bill. If you look closely you will see that Bill Moon is named, in the back row. At the first Old Boys Run in 1905 a subscription list was started to pay for a silver trophy for the Anerley Bicycle Club. 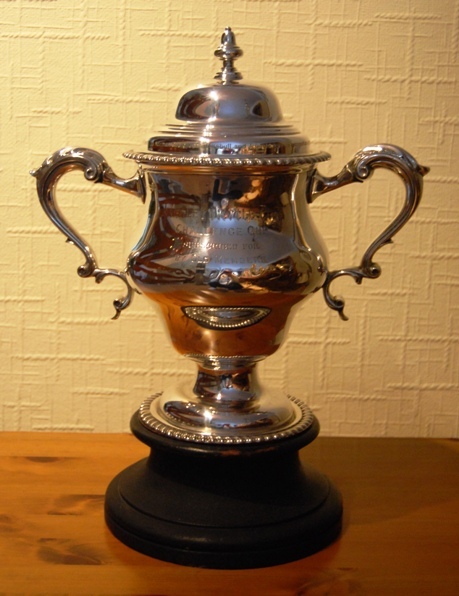 This was originally known, and engraved, as The Old Member’s Cup. 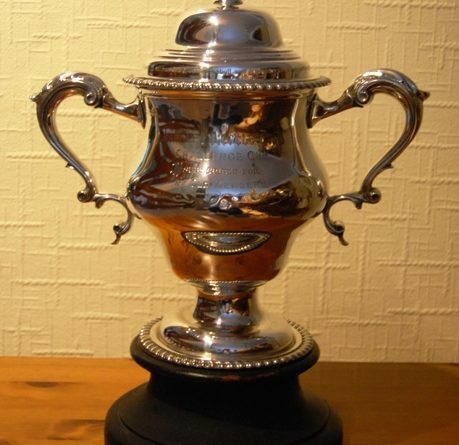 This fine trophy (below) is still held by our club. Reflected light makes the engraving difficult to read, but if you zoom in you can make out what it says.